The genetic and environmental mediation of continuity and change in parent-reported ADHD symptoms were investigated in a cohort of over 6000 twin pairs at 2, 3 and 4 years of age. Genetic analyses of the cross-sectional data yielded heritability estimates of 0.78–0.81 at each age, with contrast effects. 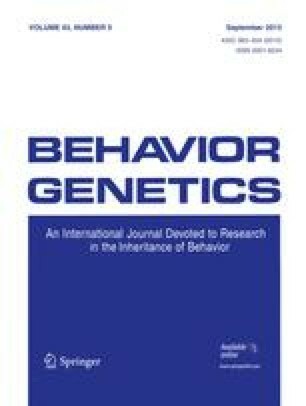 A common pathway model provided the best fit to the longitudinal data, indicating that genetic influences underlie 91% of the stable variance in ADHD symptomatology. In other words, what is stable for ADHD symptoms is largely genetic. Contrast effects acting in the same direction at different ages contributed to the observed continuity:longitudinal correlations were greater for dizygotic than monozygotic twins. The Twins Early Development Study is funded by the Medical Research Council.